The fourth Coworking Europe Conference, organised by Global Enterprise and the Xarxa Punt TIC of the Government of Catalonia will take place on November 11, 12 and 13 in Barcelona. The last years, Coworking became a global phenomenon. Nowadays, more than 2.500 spaces have opened in the world. The number is doubling every year. One hundred of them are operating in Barcelona alone. Between 300 and 350 attendees from around Europe, North America and beyond, will gather during three days at the Fabra i Coats, a creation factory that the Barcelona City Council puts at the disposal of the conference organizers. Close to fifty speakers and panelists will share their thoughts and best practices with an audience made out of coworking space operators, facility managers, real estate pundits as well as city councils representatives, public development agencies, universities or startup incubator managers. All are interested to learn more about Coworking as a plateform able to address critical challenges of our time such as boosting entrepreneurship and innovation, making the independent workforce stronger or to investigate the future of working at the digital age. World class speakers are already confirmed : Todd Heiser (Gensler and 1871 Coworking space in Chicago), Michael Karimov (Work Station, Moscow), Ashley Proctor (Creative Blueprint, Toronto), Ricard Faura (Government of Catalonia, Barcelona) Christoph Falhe (Betahaus, Berlin), Jean-Baptiste Roger (La Fonderie, Paris), the mayorship of Milan, to name a few of them… Many more are to be confirmed in the coming weeks. Early Bird registration is now open. The number of Early Bird tickets is limited. We set up a very exciting program with experts in all the fields of coworking. Check out the list of the confirmed speakers on the conference website Coworking Europe 2012. The last discount period on early registration end on September 25th. There is only a limited number of tickets left ! Don’t wait to long… Register HERE. Here are some news with respect to the Coworking Europe 2012 Conference, which takes place in Paris on November 8-9-10th. The list of the confirmed speakers is getting longer, with very exciting testimonials and experiences to be told about. Eze Vidra will tell us about the Google Coworking Campus in London. Edgar Gonzales will speak about the Madrid coworking design contest. Paris’ coworking spaces catalysts will share some of their community management/building best tips. Michel Mooij will explain how the New World of Working movement is reshaping the working landscape in The Netherlands and how coworking has a role to play in it. Real estate experts will provide with some insights. fix desk or hot desking ? which role for the public sector ? We expect 300 attendees next fall in the French capital city. Will you be one of us ? 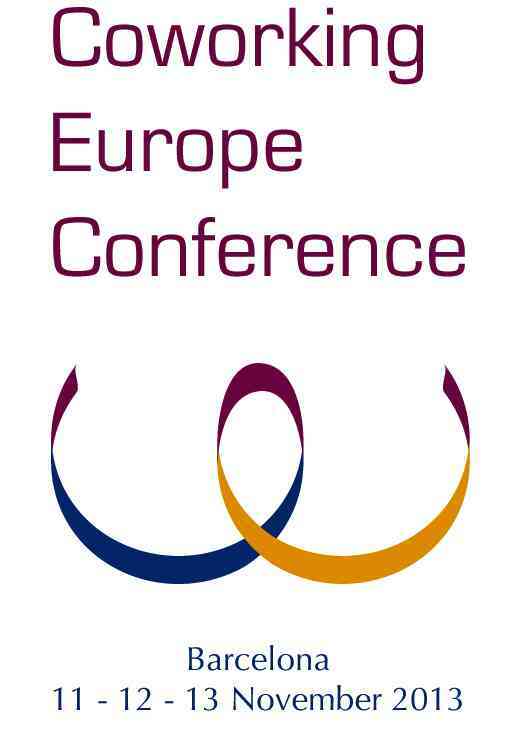 We are happy to announce that the Coworking Europe conference 2012 edition will take place in Paris, on the 8, 9 and 10th of November. This year, Global Enterprise partnered with ARD (Economical Development of the Paris-Ile de France Region) and La Fonderie (Paris Regional Digital Agency) to organise a three days long event. As last year in Berlin, we expect great speakers/panelists from Europe and beyond, with different backgrounds and experience. During the three days of conference, we will try to assess the various dimensions of the Coworking movement, as of today. We will underline the role of Coworking as a driver of change for the economy and the society. Most and foremost, attendees will have the opportunity to share best practices with other owners and community managers of Coworking spaces operating in more than 30 countries, with an expected number of 300 participants in total. Early bird registration, dedicated for the Coworking Community, is now open. As this conference is growing, the logistics is becoming heavier, this year, we won’t be able to provide an unlimited number of Early Bird seats. Only a limited seats are available under the Early Bird conditions. Early Bird registrations will be possible until July 31st. Registration will work based on a “first arrived, first served” model. So, the sooner you will book, the higher the chances are that you will be able to benefit of the Early bird conditions.